So that’s how Xenoblade Chronicles became a game offering a lot of freedom. We wanted everyone to be able to enjoy it in their own way, and that’s why we decided to increase the customisation. And I think it’s been a success. But on the other hand, sometimes having a lot of freedom has a negative side as well, where users say “I don’t know what to do,” or they get lost. How were you able to strike the right balance there? When it comes to the field, I think Monolith Soft’s map team made the biggest contribution. I think our sense of design really came into play there. But it’s more than just building an attractive field, it’s designed so that it actually includes functionality. That’s right. For example, the storyline dictates you need to go to a certain point. I think we did a very good job of including places that made you want to take a little detour here and there as you are moving towards that point. Oh, that makes sense. By doing that, moving somewhere isn’t just a chore, it turns into the user choosing which path to take. That’s right. I think it went really well, because we made it so that after you’ve taken that detour, and you remember, “Oh right, I have to go do that thing,” it’s not such a pain to go back to that point. Why were you able to make that map so well? Looking back, the team that made Xenogears34 at Square is the team that really became the core of Monolith. At the time there wasn’t a single game that had a 3D map.34. Xenogears: An RPG released in Japan and America by Square (now Square Enix) in 1998. With the specs back then, you could choose to make your characters 3D or your map 3D. Because of the hardware spec, you could only do one or the other. That’s right. So with Final Fantasy35 they chose 3D characters, and at the same time those of us who were working on Xenogears choose to make the map 3D.35. Final Fantasy: Final Fantasy VII: An RPG released by Square (now Square Enix) in 1997. Then (Yasuyuki) Honne36 became the leader, and he specialised in map development. What we started doing then really evolved into what Monolith Soft is doing now. 36. 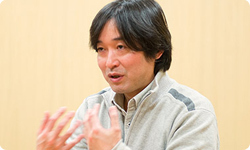 Yasuyuki Honne: Director/Board Member at Monolith Soft. While working at Square (currently Square Enix) he helped develop Chrono Trigger, released for Super NES in Japan and America only during 1995. After leaving Square, he moved to Monolith Soft, where he developed Baten Kaitos for Nintendo GameCube, among other games. He has been involved in several titles at Monolith Soft as Art Director, and developed the concept art for Xenoblade Chronicles. In that sense, you had several members of the team who had a lot of experience in building worlds that people would enjoy, who then began making 3D maps at the dawn of 3D role-playing games. And that really contributed to making Xenoblade Chronicles into something of this quality. That’s right. A lot of people on the team had worked together at Square. And I think our combined experience is really important when it comes to making games. In other words, they’ve been thinking of maps in 3D for longer than most people. The biggest thing is that they’ve brought all of their considerable experience to the table and really mastered that world. In that sense, you also have considerable experience. You’ve had quite a career, Takahashi-san. That’s true. I began making RPGs about 25 years ago. As a developer, your life really has been about RPGs. What was the first title you were involved with, Takahashi-san? First, I joined Nihon Falcom37, and after completing Star Trader38, I got my start in making RPGs, when I helped with the monster graphics for Ys III39. 37. Nihon Falcom: Nihon Falcom Corporation. A Japanese game-development company that creates the Ys series, among others. Its main office is in Tokyo.38. Star Trader: A space-trading shooter game for PC released by Nihon Falcom in 1989.39. Ys III: Ys III: Wanderers from Ys: An action RPG, originally for PC, released by Nihon Falcom in 1989. At the time, Nihon Falcom was making RPGs for the PC. Right. Then I joined Square, and worked on the three games of the Final Fantasy series that I mentioned earlier. Do you have a much different approach to making games now than you did when you worked at Square? It is different. I think that I communicate very differently now. In the past, I just told people to "Just do it." Oh, is that so? (awkward laugh)The thing is... I was never taught properly myself. (Yoshio) Kiya40 and (Masaya) Hashimoto41, whom I worked with at Nihon Falcom, as well as Sakaguchi-san at Square, were all like that. You had to kind of watch them and figure out, “Well, I guess this is how I do it.” So I could only borrow their way of working.40. 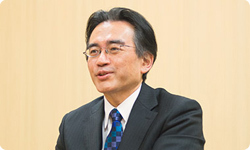 Yoshio Kiya: Game creator. During his tenure at Nihon Falcom, he worked on games in the Dragon Slayer series, such as Xanadu and Sorcerian. 41. Masaya Hashimoto: Worked on the Ys series while at Nihon Falcom, and worked on ActRaiser for Super NES. It sounds like the world of craftsmen. I really was nurtured by craftsmen. But I think it’s really important to always learn something, even if no one is teaching you something. I thought a lot about what I should be making, and my conclusion was Xenoblade Chronicles. 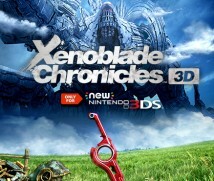 So the time was ripe for both you, yourself, and Monolith Soft as a corporation to make Xenoblade Chronicles. Has your way of thinking about the corporation changed? Twenty years ago, my thought process was – to compare it to baseball: "If there’s a strong pitcher, we can win as long as we don’t let him bat." But lately, we strive for "team baseball." What I mean by that is I try to take what everyone is good at and turn it into something. In my 15 years with Monolith Soft, I’ve learned that this is the best way of doing things at this company.